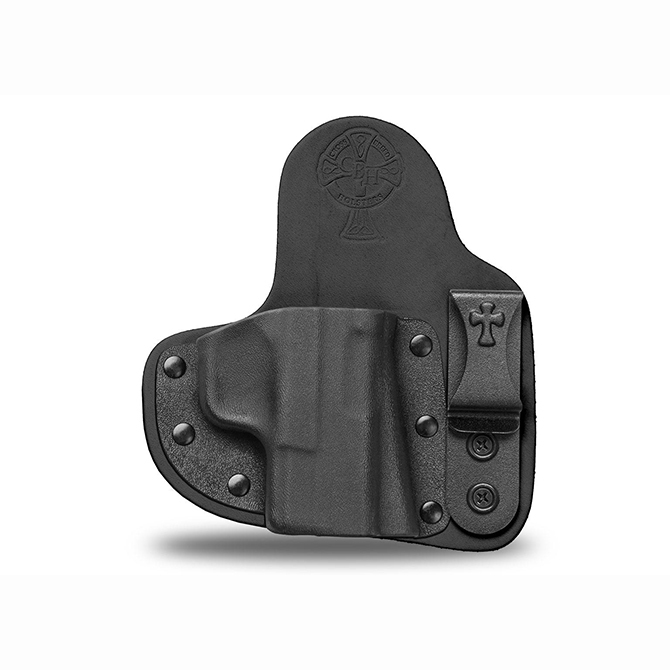 The Appendix Carry Holster for the Smith and Wesson M&P Shield 9mm is designed for popular small to medium firearms and has no cant so it can be worn on the front side of the body. As part of our lineup of appendix carry options including the Mini Appendix Carry Holster and Freedom Carry, the Appendix Carry holster features a CrossBreed hand molded pocket for a perfect fit. We ensure the Appendix Carry is your answer for anyone who wants to carry a firearm in a front position. The Appendix Carry Holster can also be positioned to be worn in the cross draw position.